Check this out. You can save 15% on your Wysong Dog Food order when you sign up for PetFoodDirects auto-shipment. If you have never used this service before you should really try it out. 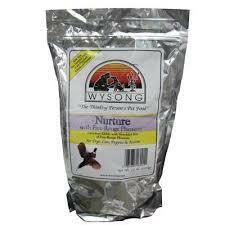 Simply set how often you want your Wysong Dog Food delivered and then forget about it. *** If you sign up come back and let others know how the service was. We would be interested in hearing from you. Printable $3 off Wysong Dog Food Coupon This printable Wysong Dog Food Discount can be printed straight from the manufacturers homepage. Simply head over to: http://www.wysong.net/stores.php?coupon=3 and fill out a short form and enjoy your savings.